The Gulf of Kvarner lies between the Istrian peninsula and Northern Dalmatia. Its islands are well known for their charming old port towns, hidden coves with secluded pebble beaches and large areas of unspoiled nature. Each island has its own unique character, and what better way to get to know them all than by island hopping. When you join an island cruise, you will likely board your ship in the town of Opatija. During the Austro-Hungarian empire, Opatija was a fashionable seaside resort for the elite and the town still attracts many visitors all year round thanks to its excellent spa resorts and favourable climate. Once you board your ship, the adventure can begin. You will not have to worry about a thing, just relax and enjoy the ride. Let the ship take you to the islands of Krk, Losinj, Rab, Cres and maybe even some more amazing islands. Krk is Croatia’s largest island and offers a variety of different landscapes that include a rocky coast, dense forests and vineyards. The northern part of the island is almost completely bare and has a wind-whipped look, thanks to the strong Bura wind that blows here. 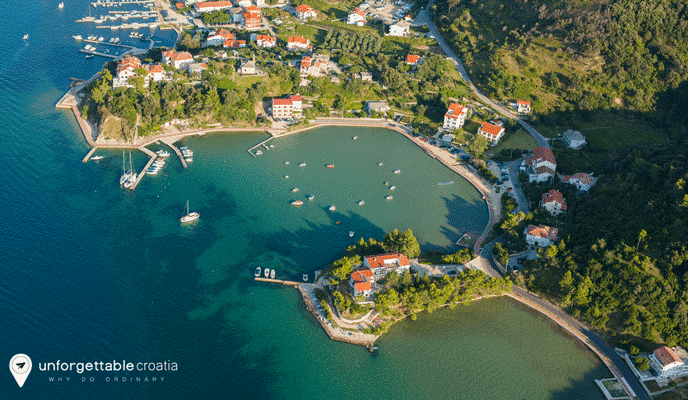 Krk is often called the Golden Island, because of its mild climate and its great position in the Adriatic Sea. It has a bridge that connects the island with the mainland and it can also easily be reached by boat. Krk town is a charming place with an ancient walled centre. Here you will find the typical narrow cobbled streets that Croatia’s historic towns are known for, including a beautiful cathedral. 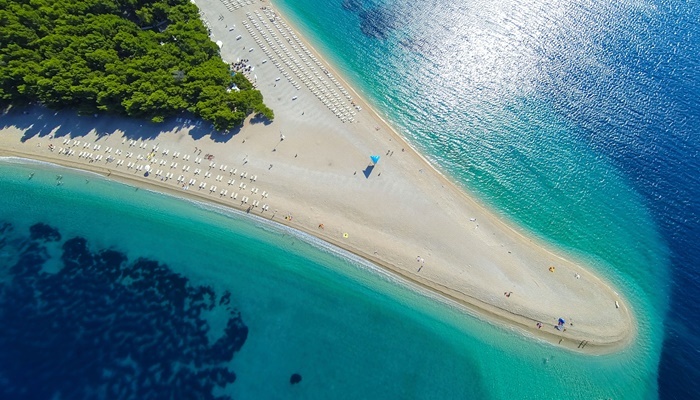 Head out to Baska Beach at Krk’s southern end if you like sandy beaches. This beautiful sandy beach is one of the nicest beaches on the whole island. Losinj is a relatively unknown island compared to some of its neighbors. The main reason is the long journey to get there from the mainland. Luckily, this is not an issue for those on an island cruise, so you will be able to enjoy the beauties of this island without that many other tourists around. 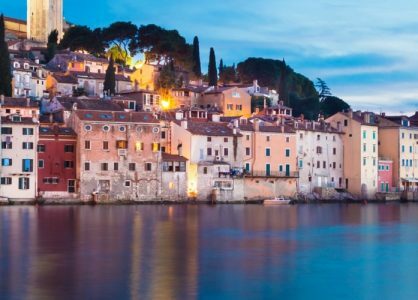 Losinj has everything that you would expect from a traditional island; idyllic fishing villages, a relaxed lifestyle, great restaurants serving fresh, local dishes and plenty of beaches that have not yet been discovered by the masses. If you want to see dolphins during your island hopping trip, this is where you need to be. A group of about 120 dolphins call the sea around Losinj their home. For this reason, the Blue World Institute was established here, to help protect dolphins and other endangered sea creatures, such as turtles. 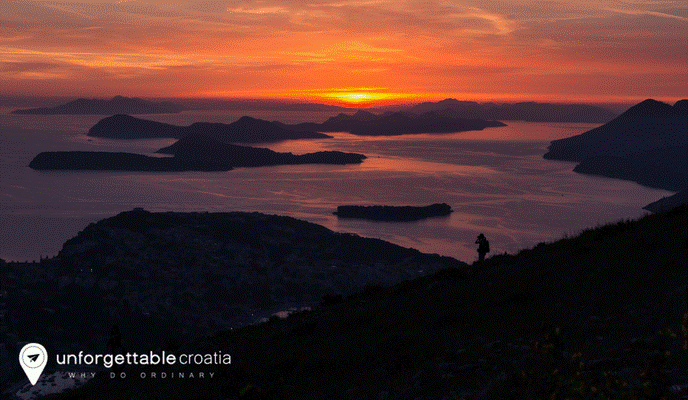 Just like Krk island, Rab also has a wind-swept northern side and a lush and green southern side. The northern part has high cliffs, only a few settlements and a very barren look. The contrast with the southern part is amazing. 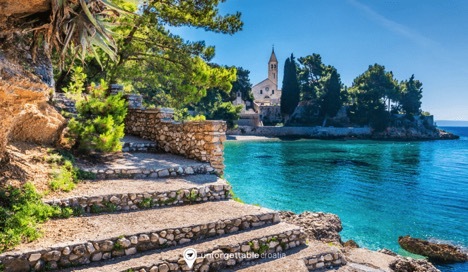 Here you find lovely pine-rimmed coves, secluded sandy and pebbly beaches, thick forests, vineyards, olive groves and a couple of charming old towns, with Rab Town being the most popular one. Situated on a small peninsula, the old town of Rab is filled with red-roofed medieval houses that lie within its 15th century city walls. The town has a wonderful and lively holiday atmosphere, without being too crowded. The locals are friendly and welcoming, offering local delicacies in the many cosy taverns around the central square. It is almost a shame to leave this beautiful place and continue your cruise. If you love the hilltop towns of Istria, you will love the island of Cres as well. This ‘wild’ and unspoiled island offers ancient hilltop towns from where you can admire beautiful views over the sea on both sides of the island, thanks to Cres’s narrow and long shape. The village of Lubenice is a perfect example of an ancient hilltop town that is definitely worth a visit if you like to experience places that make you feel like you have gone back in time. 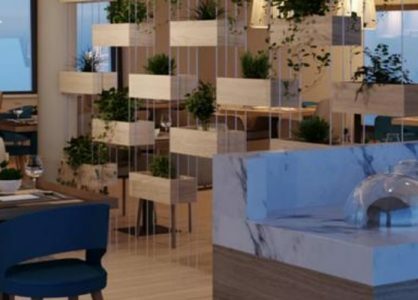 When you are ready to return to the modern world, your ship will be waiting to take you further on your journey through the Gulf of Kvarner and to create plenty more unforgettable memories of your Croatia islands cruise. We have 7 night Kvarner island cruises around these stunning islands including return flights and transfers from £895 per person. Please feel free to get in touch with our team on 0208 004 2345 if you would like further information.